UzA official news agency of Uzbekistan learned from Toshbozortayerlovsavdo that over 30 POS (point of sale) terminals were set up in twelve markets of Tashkent; from now on, the local residents can use their debit cards there. 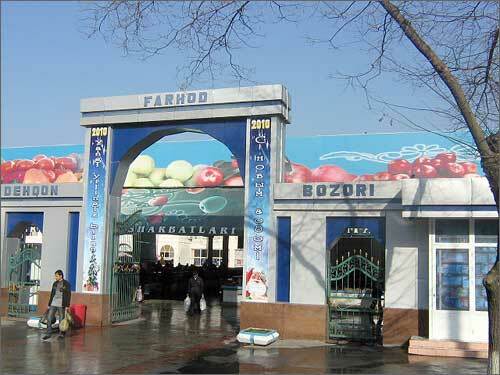 This fact was also confirmed by Bakhodir Saidov, the head of OJSC Farhod dehkon bozori (the Farhad bazaar) which said that four POS terminals had been installed at this market. 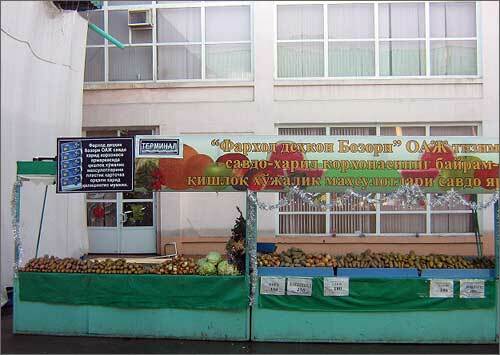 «In 2010 we are planning to significantly increase the number of POS terminals», Saidov promised. 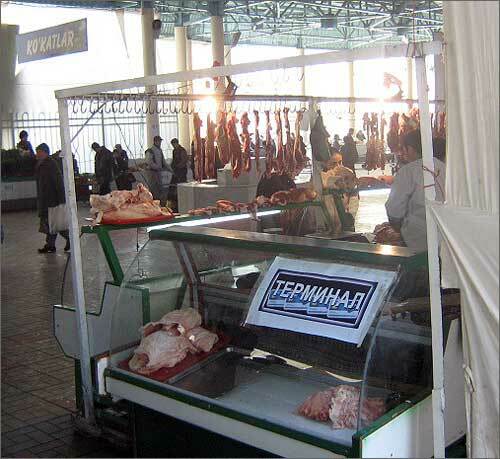 Ferghana.Ru correspondents took a walk around Tashkent bazaars in order to personally see what was going on. There are four VISA POS terminals at the Farhad market and all of them are concentrated at the same place. DUET cards are temporarily out of service. (DUET (Direct Universal Electronic Transaction) the local payment system, launched by UZKART Interbank processing center that unites 18 banks of Uzbekistan. The payments are processed in national currency – editorial note). Four terminals for one big market are not many, considering the fact that most of the city dwellers were forced to use bank cards. Only few food items can be purchased at the Farhad market by the bank card while the rest foodstuff is purchased for cash only. 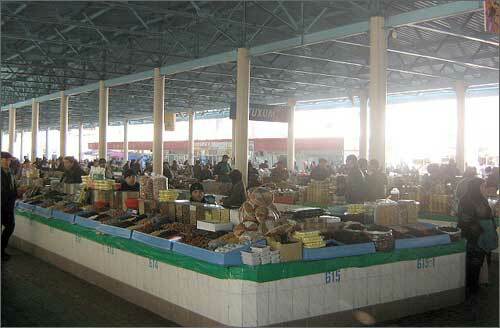 Even being aware about the terminals it is not easy to locate them at the bazaar. For instance, Ferghana.Ru correspondent was able to find POS terminals only with the help of local administration while it turned out impossible to find the payment terminals at the markets of Katartal, Mirabad and Alay bazaars. Since it is so difficult to locate the terminals there are no lines, whatsoever; the customers use cash only. It has to be mentioned that massive sale of debit cards started in Uzbekistan over five years ago. The salaries of many workers were forcedly transferred to debit cards. At the same time, people faced the problem of cash withdrawals at POS terminals and ATMs. 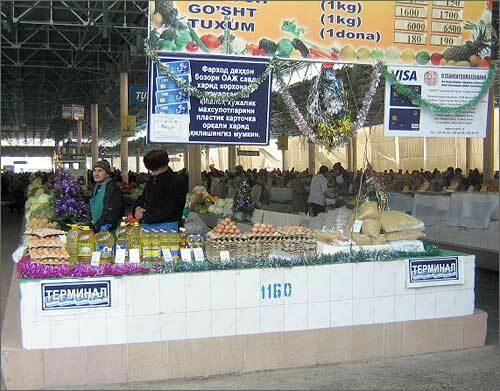 As a result, the purchasing power of Uzbekistanis went down since the cardholders had no opportunity to use cards in the shops and especially bazaars, very popular in the republic and where the prices are quite lower than in supermarkets. Over the time, the problem has been partially solved. In the beginning of August of 2009 the Central Bank and State Tax Committee of Uzbekistan issued the decree on installation of POS terminals at the most popular locations. So far the decree has not solved the problem. There is a deficit of operating terminals, the need in which is constantly growing especially considering that 70-80% of salaries of governmental employees are transferred to the debit cards. 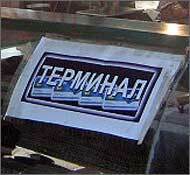 The Uzbekistanis are quite discontent when they are not able to cash out money. Perhaps, as it was promised by the government of the republic, in 2010 the number of POS terminals will grow and they will reach groceries stores and small outlets. However, most likely this is not good news for ordinary peasants that have no bank accounts and no trust in them. This is the reason why many marketers still do not have cash registers. In the current socio-economic conditions of Uzbekistan the peasants can survive only if they get cash for their harvest. Considering this issue, the authorities do not require them to set up POS terminals and cash registers, may be yet.